Always read the label. Follow the directions for use. If symptoms persist, talk to your health professional. Vitamin supplements should not replace a balanced diet. Contains sulfites and soya. When taken in excess of 3000micrograms retinol equivalents (R.E), vitamin A can cause birth defects. If you are pregnant, or considering becoming pregnant, do not take vitamin A supplements without consulting your doctor or pharmacist. The recommended daily amount of vitamin A from all sources is 700mcg RE for women and 900mcg RE for men. Do not take while on warfarin therapy without medical advice. The product contains selenium which is toxic in high doses. A daily dose of 150mcg for adults of selenium from dietary supplements should not be exceeded. Contains beeswax. This product contains pyridoxine hydrochloride which may be dangerous when used in large amounts or for a long time. 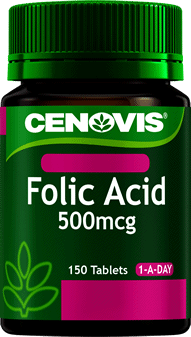 Why Cenovis Women’s Multi + Energy Boost Capsules? 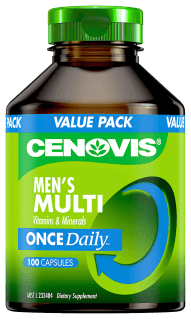 Cenovis Once Daily Women’s Multi + Energy Boost is a convenient 2-in1 formula that not only gives your body the support of a comprehensive multivitamin but has been formulated with the additional benefit of energy support ingredients to give you that assistance you may need when you are feeling fatigued and stressed. 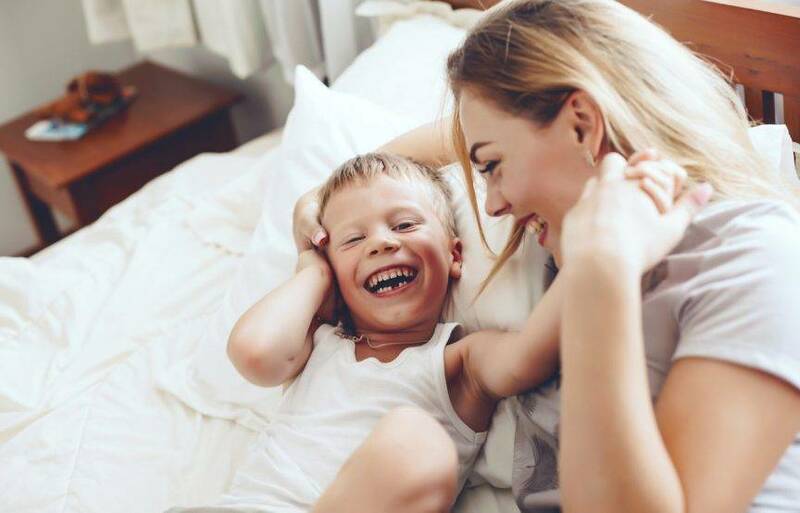 With our busy lives it’s not always easy to get everything you need from your diet alone so you can feel confident that Cenovis Once Daily is here to give your body the extra support it may need; and it’s easy with one easy to swallow capsule per day!